I just received my first of this line. None other than Deadpool himself and my thoughts are that he is fantastic. 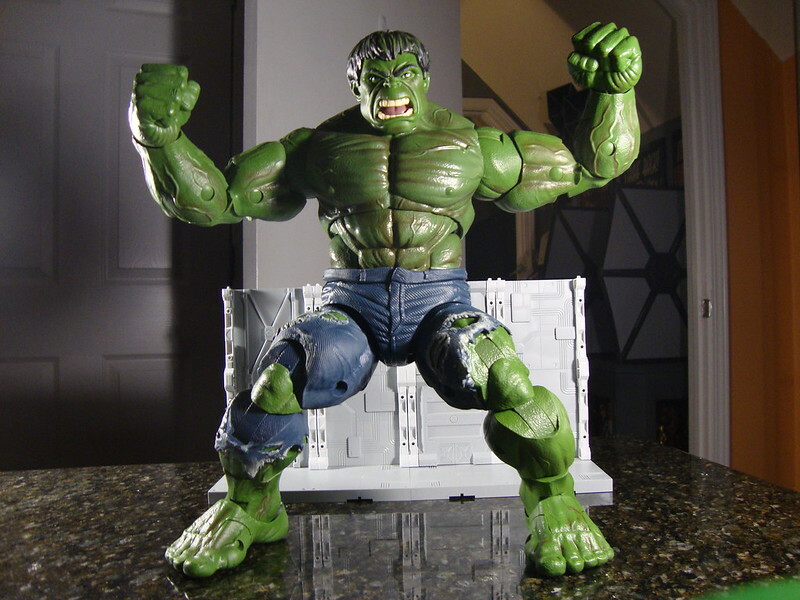 Poseable, sturdy etc. SO I thought we could start a 12 inch appreciation thread since they seem to be continuing this line. 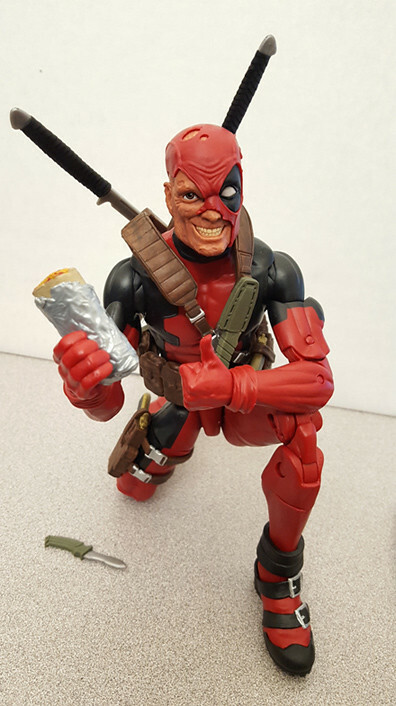 To get us started I even got pictures of Deadpool and his new career path since Brolin is going to ruin the series as Cable, lol. Last edited by Bearjew; 08-14-2017 at 07:23 AM..
Thor really should come with a tankard of mead! 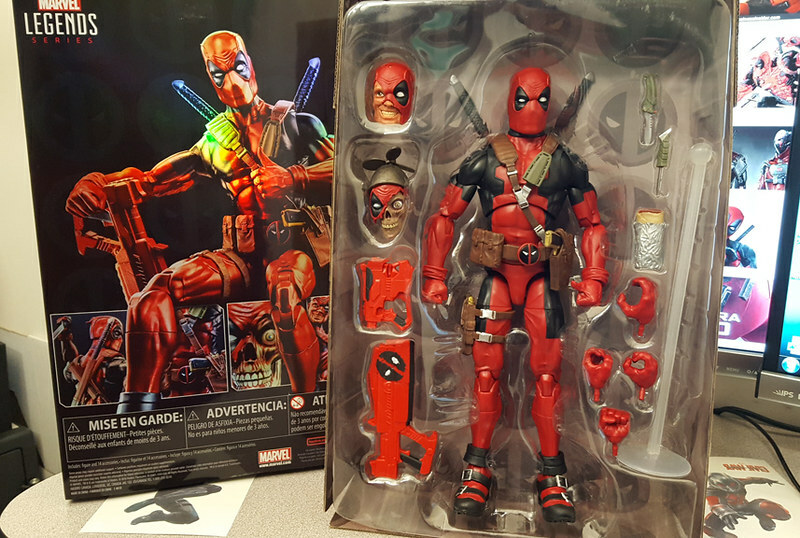 $ 45.00 TOTAL....Game Stop i believe it was..
Deadpool had been on sale about two months back at Target. black spidey i see a lot of at my targets..so he may end up on sale as well..
Last edited by DarkToyLord; 08-11-2017 at 10:30 AM..
Last edited by DarkToyLord; 08-11-2017 at 09:58 AM..
Last edited by DarkToyLord; 08-11-2017 at 10:29 AM.. 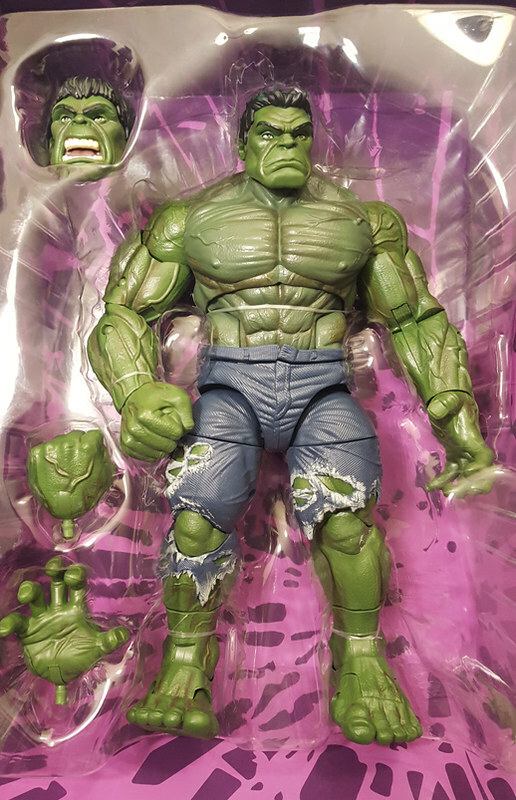 I could go all in on this line JUST to have a reason to own THAT wonderful Hulk! 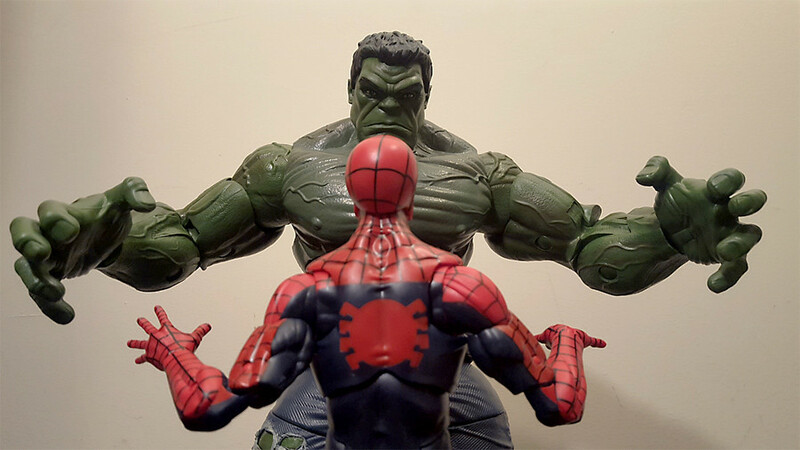 Great pics, great thread, great figures. I especially LOVE the head shotz, so cute! That isn't a word I have ever used to describe proper action figures either! So far the only one of these that's interested me enough to get has been Deadpool but it is a pretty damn good figure. 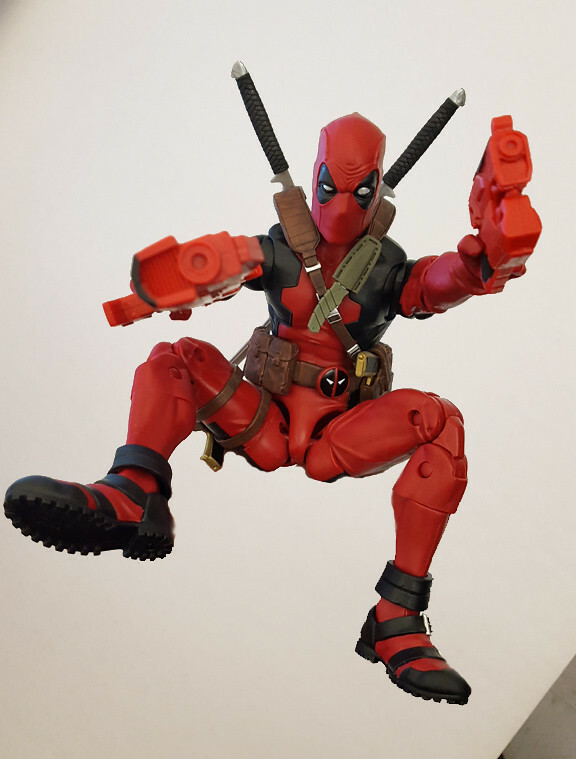 I have interest to see what else this scale puts out but I hope that either the base price lowers or more figures have accessories like Deadpool. I definitely want to see more villains though since so far they haven't done any. 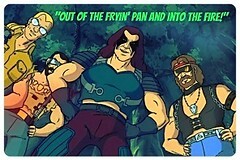 Apocalypse would be a dream come true in this line. I Wil be honest when these first came out I HATED them. Captain America's botox lips, Iron mans weird plastic armor and bad gold paint. I think they just didn't have it together yet on those. They were possibly rushed for the holiday season. Anyway they did get the accessories right and they have slowly gotten sculpt on track. Deadpool is amazing. I never thought I would get into this line but having now gotten Deadpool out I can say that I will drop $50 on the figures I like (WOLVERINE!!!). I may even pay full price for Thor but I doubt it. I guarantee he is as good as Deadpool. I wish I liked the head sculpt better and that he came with the tankared is ale. I wish I hadn't got Deadpool now because I am dying format Wolverine, battle damage head, shoulder pads OH MAN! This line has so much potential. I am afraid they have hurt themselves a little because now everybody is waiting until the prices drop. It is one of the reasons I don't already own Thor. 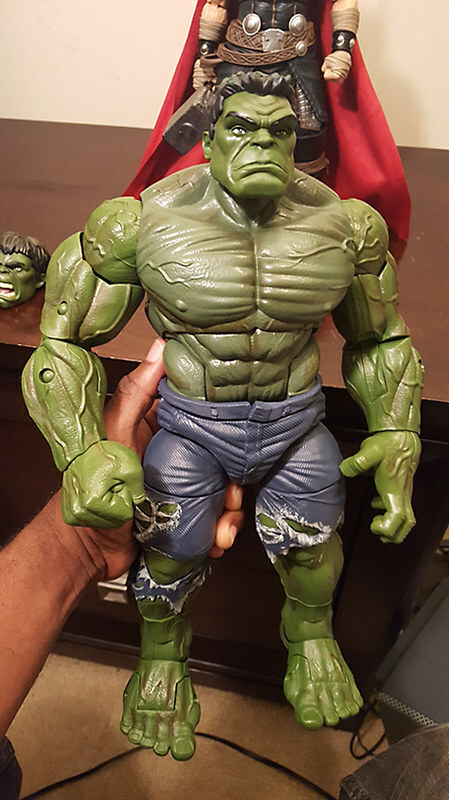 I think I may have some issue with Hulk's head color. It looks to be different than the body. Where did you get your accessories? 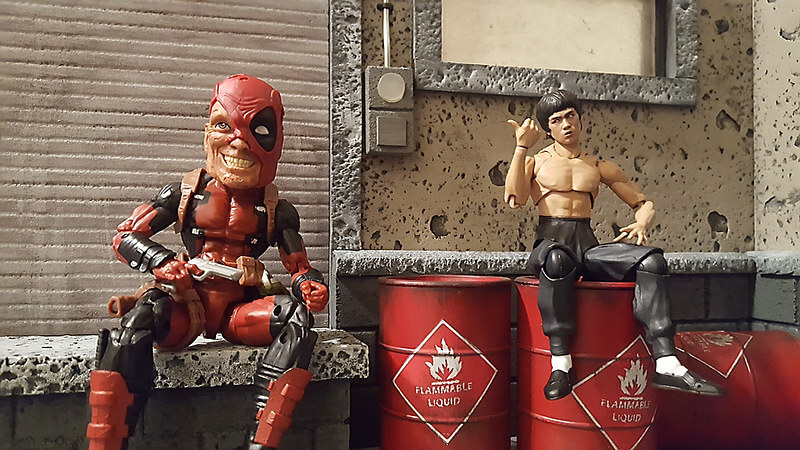 You make the diorama? ... what else this scale puts out... want to see more villains though since so far they haven't done any. There are 12" Venom (with variant as well) Dr. Doom, Dark Phoenix and Magneto from the ML Icons line in the same scale. Definitely need more though. 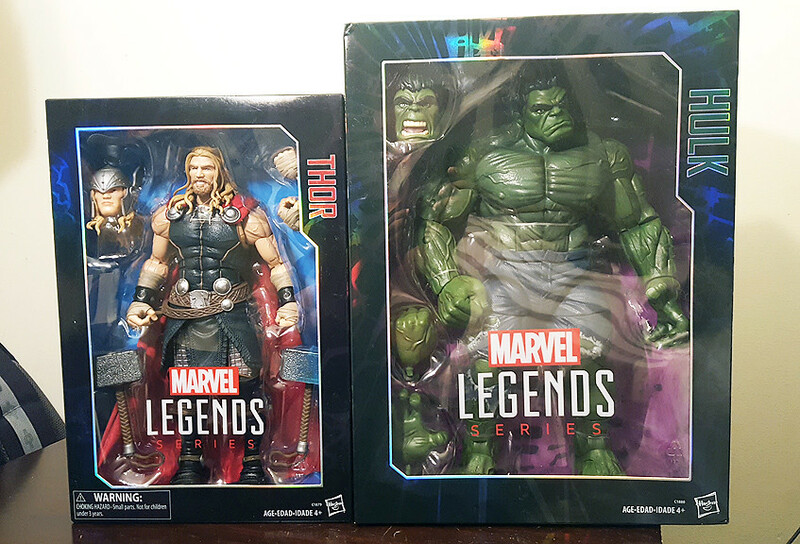 The Thor and Hulk show they REALLY upped their game since the initial releases. The sculpts are much better. 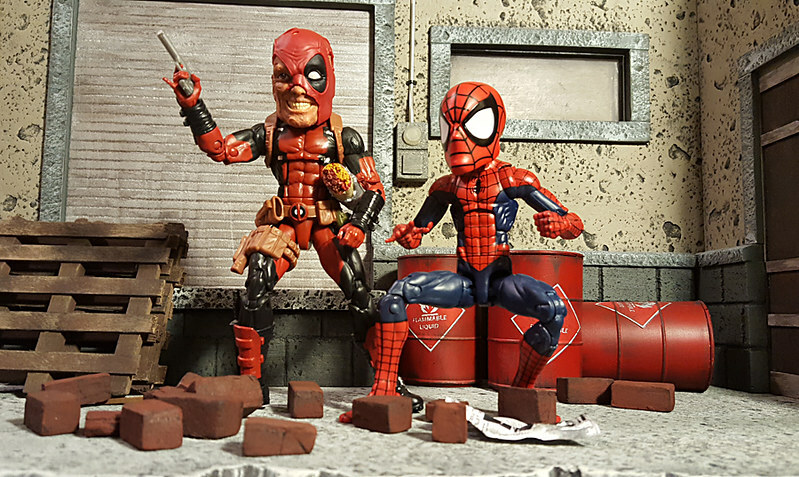 I' m looking forward to my Daredevil and Wolverine...whenever they get around to releasing that. Even though I am Black Panther fan. 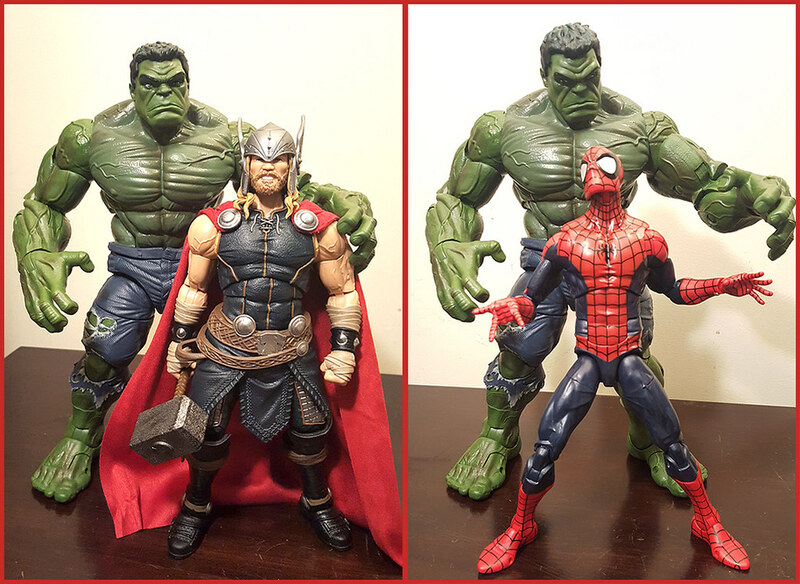 I'm not too thrilled with his 12" release because it's MCU which isn't matching any of these previous figs. nah...things i've picked up here and there over the last year or so. I've got umm...4 dios..and various pieces. oh..and 2 of those..damn i forget the name, the dios that are really just cardboard backings, but done very well. I have the subway and the street alley. i NEVER even knew these things existed until ebay searches about a year ago. They definitely slipped in under the radar. 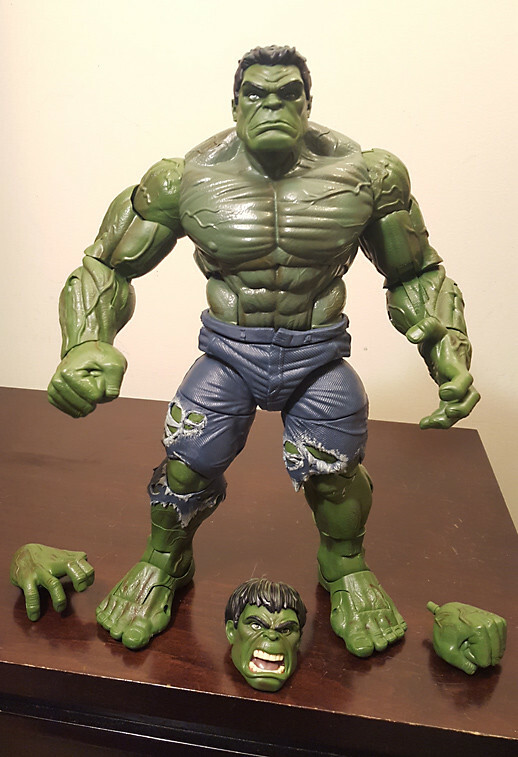 I am a Marvel 3.75" (sad by today releases) and never considered another scale. That said .... the new ML 12" look REALLY good. 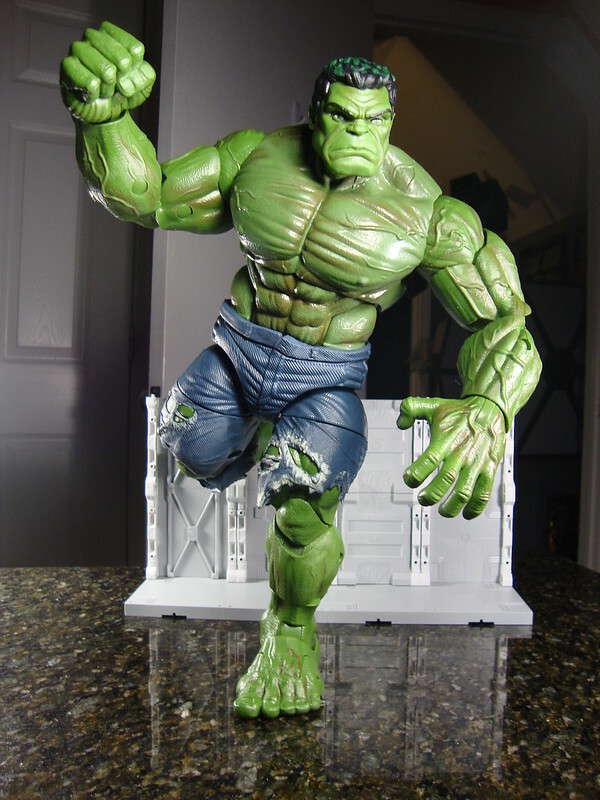 I mean THAT version of The Hulk would be amazing to own! 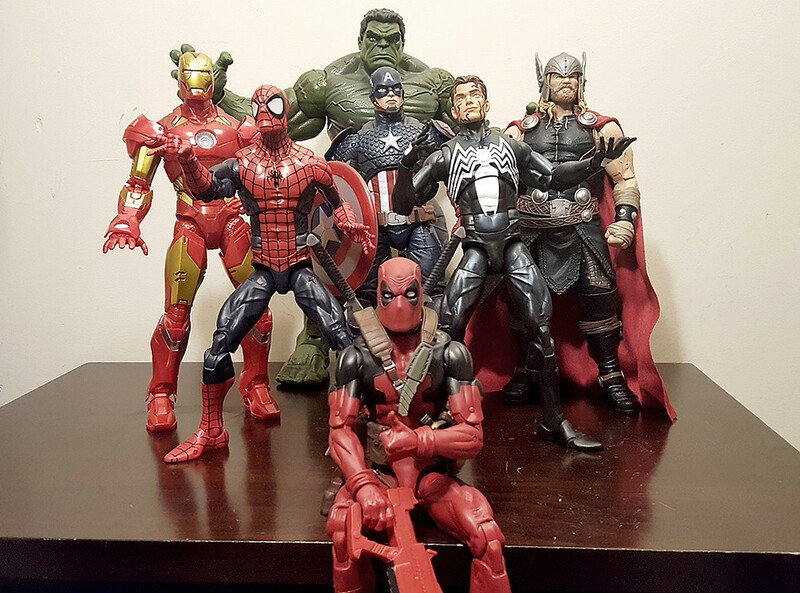 I could make room for the four Avengers somewhere. Maybe put the wife outside!!!! 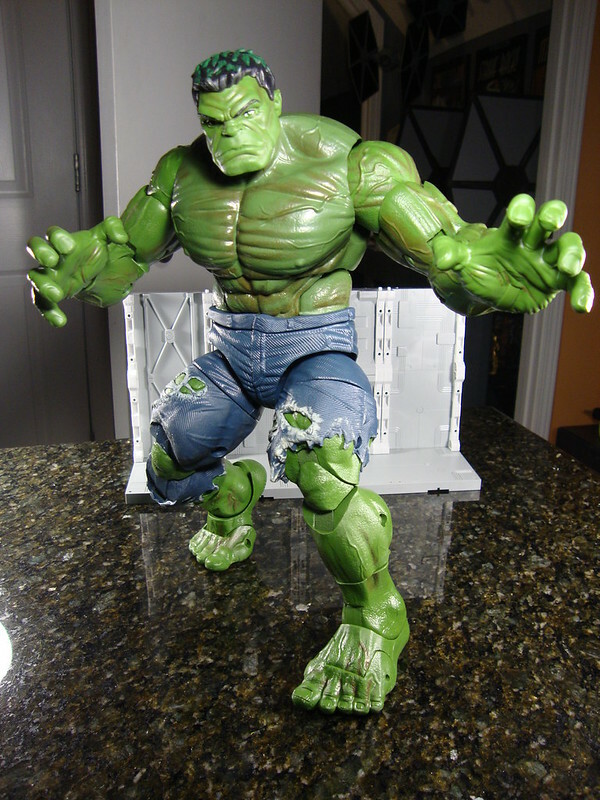 I am a Marvel 3.75" (sad by today releases) and never considered another scale. Maybe put the wife outside!!!! 1. i was JUST looking over my 3.75 which are still displayed.. I'm still too connected to them to let them go. 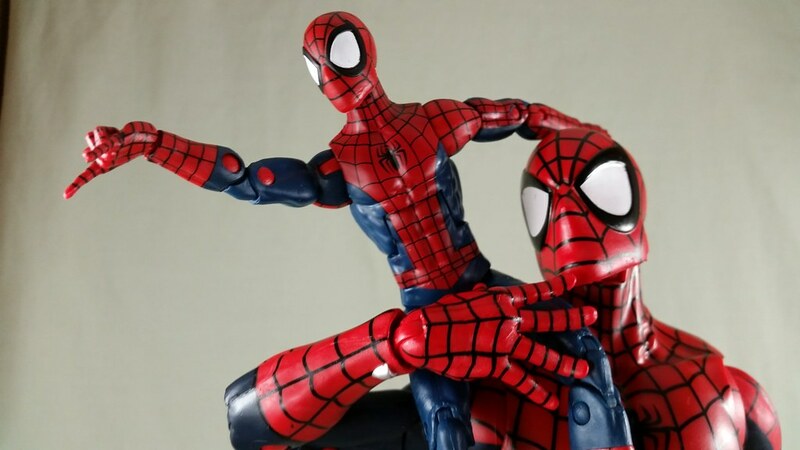 I really like them..it's just after the a. price increase b. sparse releases c. detail of the figs in the legends line PLUS BAFs.. my desire for the scale just fizzled. Come over and share some pics in the 3.75" thread. We don't have much new to talk about and just complain about how evil Dwight Stall is mostly. Some fresh pics could help cheer us up. Last edited by DarkToyLord; 08-14-2017 at 08:24 AM.. 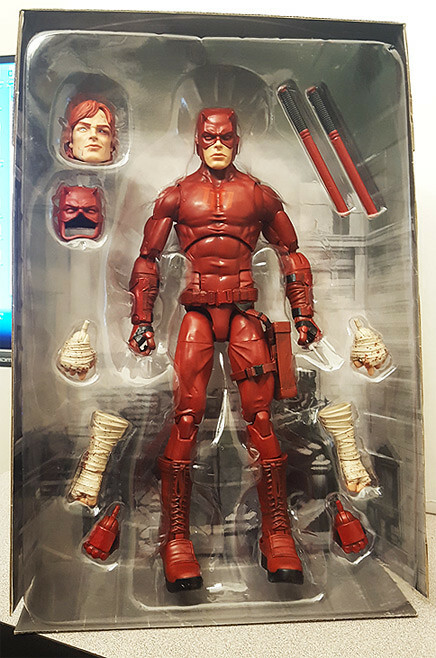 I picked up the SDCC Daredevil tonight. I am pretty excited to get it. I am going to get into this line I believe but I felt like that exclusive was pretty cool with the box art and all. Took me forever though with the site traffic being nuts. Made the web page run super slow. 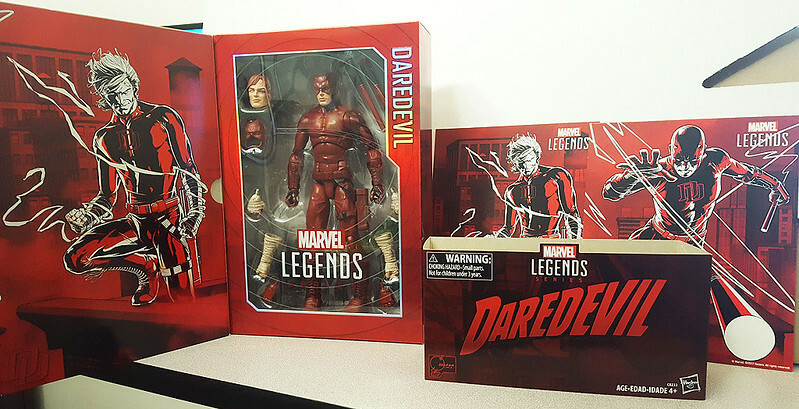 This one will be left packaged of course, are they planning on a wide normal release of Daredevil? 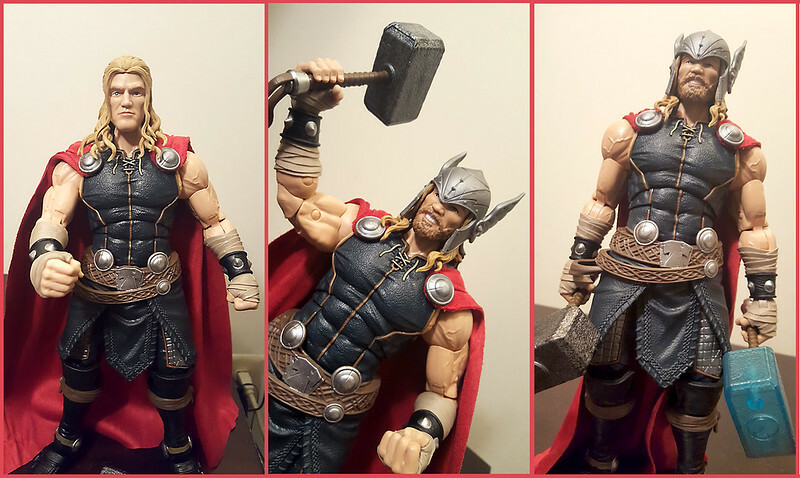 Kudos to hasbro for nailing it on thors cloth cape. 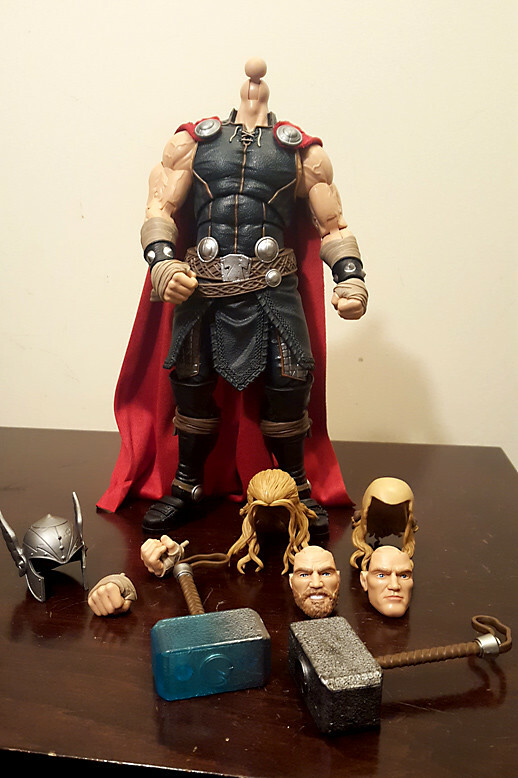 Out of all of these guys Thor is the first one to feel close to the asking price to me. Last edited by name; 08-14-2017 at 10:41 PM..
i kinda agree with you on both...tons of detail on this one. look at the detail in his hair even..
Last edited by DarkToyLord; 08-15-2017 at 03:07 AM.. I agree too. I haven't ordered him yet because I think his price will come down if I wait but I would also like to find him in the wild. If I find him in the wild I will buy it but my TRU has only had Cap, Ironman, Spiderman, and Deadpool. 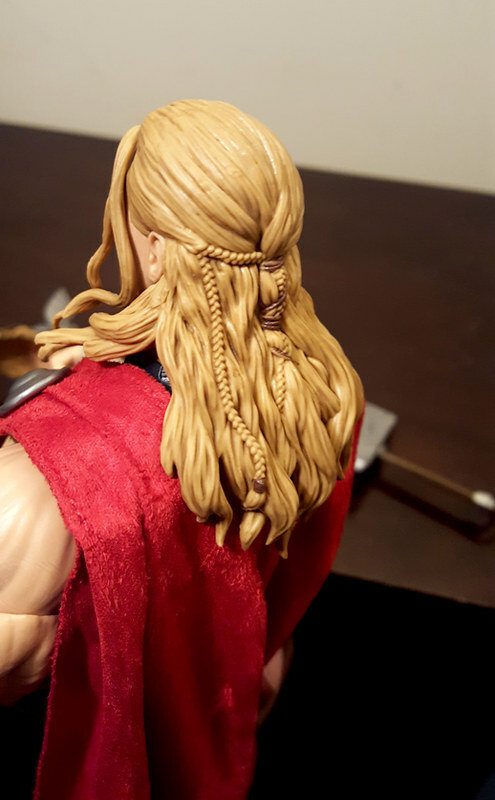 I wonder if Thor does his own braids when he is bored or if he has somebody do them for him. 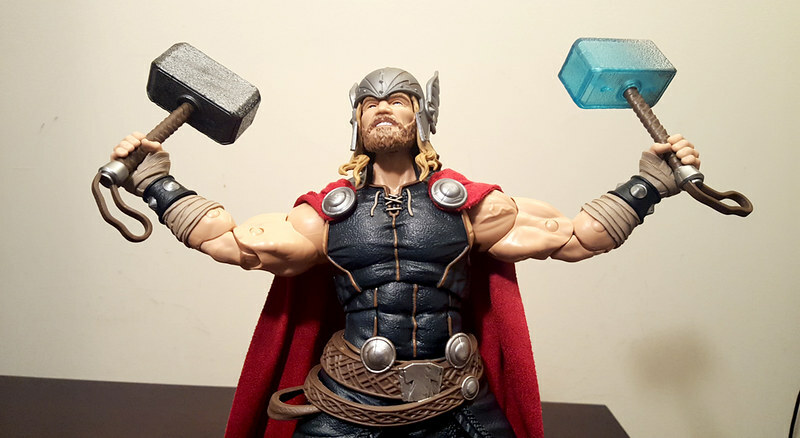 How is the articulation in Thor's legs at the hips? Is there a good range of motion with poses or does his clothes prohibit a lot of poses? 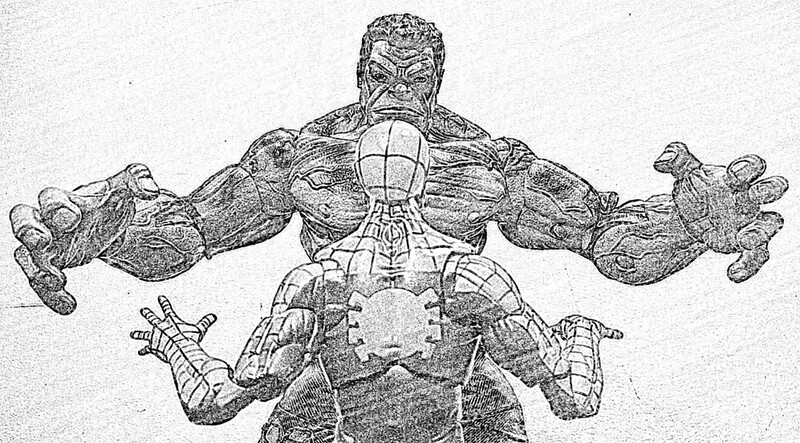 That is one thing that I love about Deadpool and Spiderman is the range of motion. I think that will be awesome for upcoming Black Panther and Wolverine too. 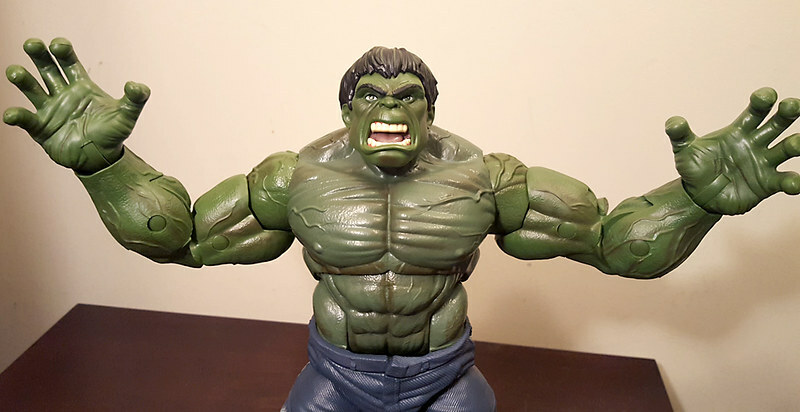 The sculpt and articulation in these figures are absolutely incredible especially for the cost. Last edited by Bearjew; 08-15-2017 at 05:39 AM..
Not that it needed it to be for me...but the packaging on this is really quite nice. Worth keeping. AND...i've never heard anyone mention this but...there is a good amount of braille on the back of the package. Last edited by DarkToyLord; 08-15-2017 at 01:39 PM..